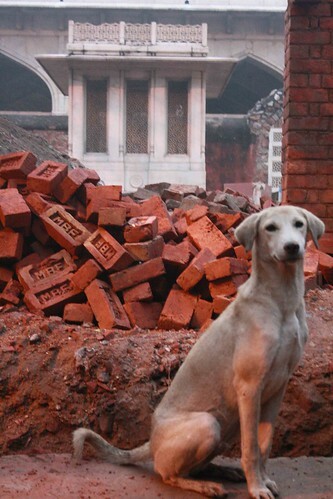 Restoring the dignity of Delhi’s greatest poet. 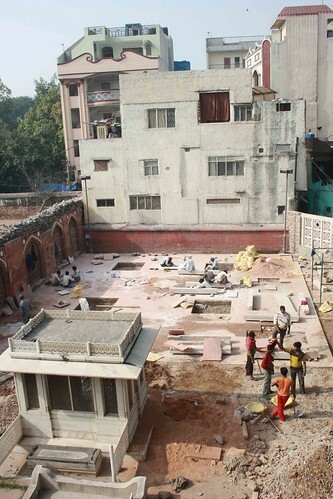 By March, 2010, the 19th-century Urdu poet Mirza Ghalib will finally lie in a resting place worthy of his iconic status. 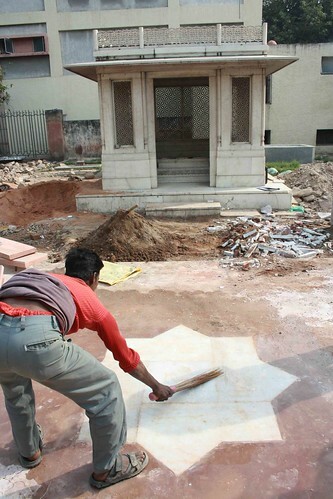 “It will all be simple and elegant,” says Mohammad Shaheer, a landscape architect, of his latest charge — Ghalib’s tomb. 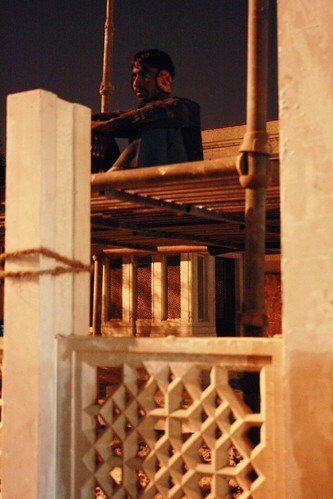 The greatest flagbearer of Urdu poetry has been dead for 140 years, but his grave is at the centre of a revival plan, one that hopes to transport the visitor “to a pool of peace”, as Mr Shaheer puts it. The tomb complex covers an area of 3,500 sq ft and is tucked away in Nizamuddin Basti, a densely populated 14th century Delhi village. Like other places of historical significance, it has seen far better days. But the makeover will be drastic. 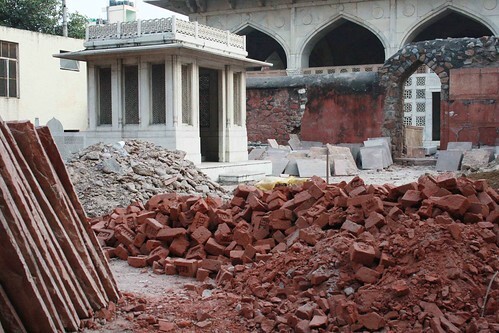 “We are trying to restore the dignity of Ghalib’s tomb,” says Ratish Nanda of Aga Khan Trust for Culture, an international foundation that is doing the restoration in partnership with Archaeological Survey of India (ASI) and the Municipal Corporation of Delhi. 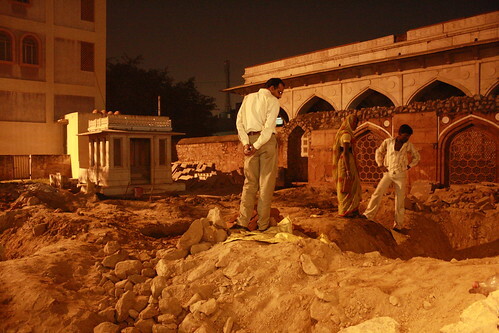 The project is a part of the much-larger Humayun’s Tomb – Sundar Nursery – Hazrat Nizamuddin Basti Urban Renewal Project. 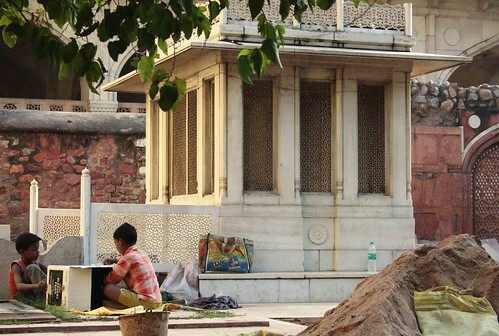 Located on the principal street to Hazrat Nizamuddin’s sufi shrine, Ghalib’s tomb usually goes unnoticed. 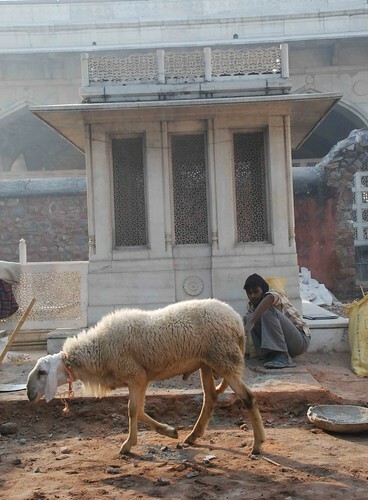 “The white marble tomb is a well-kept structure,” says author William Dalrymple, “but the courtyard is tatty.” An understatement. Originally commissioned by a Nizam of Hyderabad, it was like a badminton court with its paved sandstone and marble strips. The entrance was merely a grilled gate. 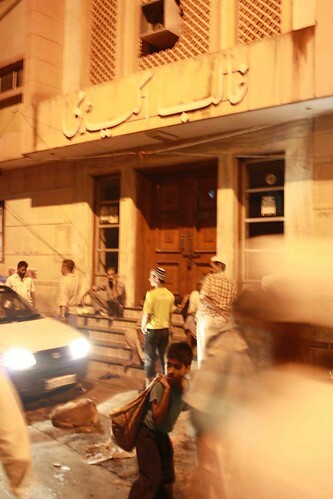 There was no wall to hide the butcheries, kebab stalls and open drains of the street opposite. 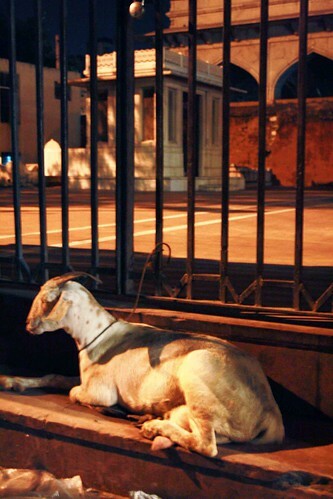 The iron grill made the place resemble a jail, not a poet’s grave. 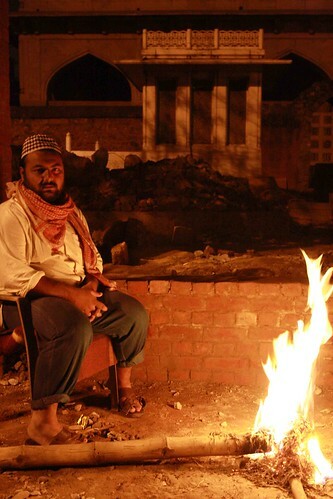 “[Now] we’re creating something to suit Ghalib’s status,” says Mr Shaheer. That is impossible — the Mughal-era poet’s stature is far too majestic. With his verses figuring in Bollywood chartbusters, bestselling books, and Prime Ministers’ speeches, the poet is a popular cultural icon. 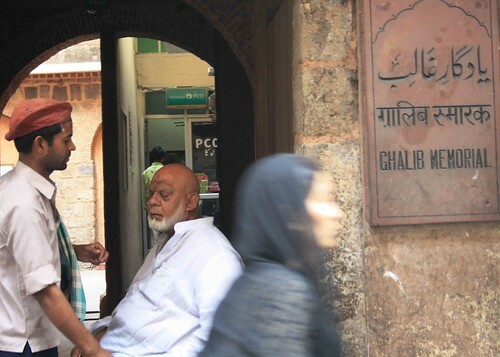 Ghalib, a lover of wine and women, died in poverty and his last haveli in Ballimaran, Old Delhi, was converted into a coal depot for some time. The tomb must fare better. 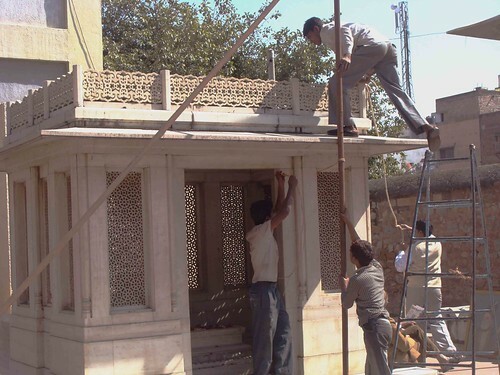 “The new-look tomb will give a sense of the times Ghalib lived in,” says Mr Shaheer. 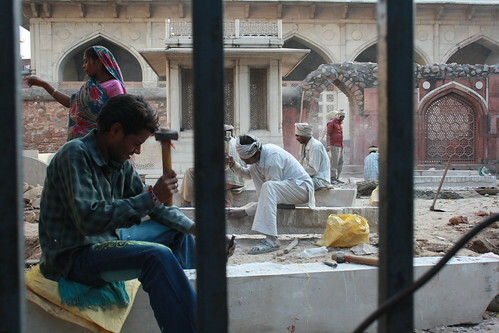 To revive the romance, the courtyard is being paved with red sandstone, white marble inlays and ornamental patterns. 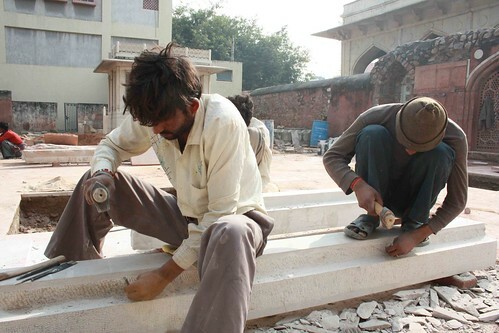 There will be benches, trees and sweet-smelling shrubs favoured by the Mughals. 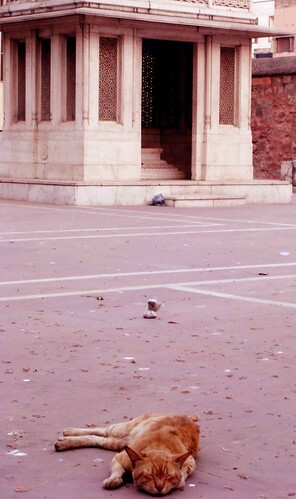 (The tomb is next door to Chausath Khamba, a beautiful Jehangir-era monument.) The jail-like grill has been removed; a delicate hand-carved stone lattice screen is coming up. Through these jaalis, you will see the street but hear no street noise. 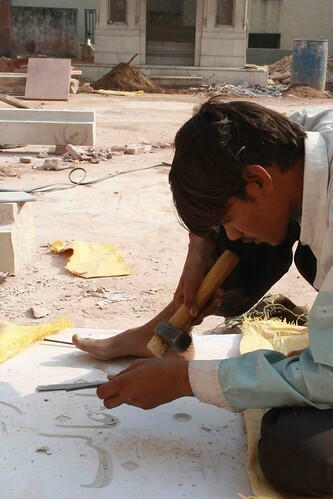 A Ghalib couplet will be inscribed on a marble slab. 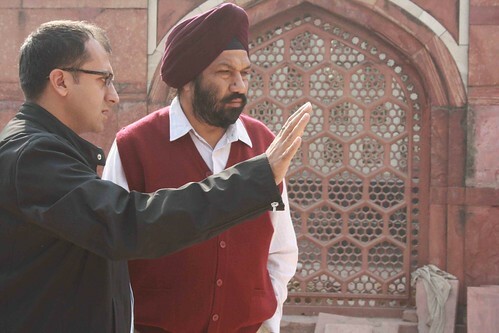 “Ghalib’s tomb setting must reflect his greatness in Hindustani culture and the ongoing work will,” promises KN Shrivastva, Director General, ASI. In Iran, the grave of Persian poet Hafiz lies in the middle of a landscaped courtyard, with historically appropriate plantings and elegant, handcrafted building elements. It is a major tourist attraction. 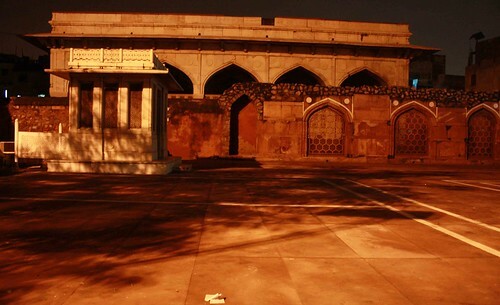 Ghalib’s resting place, too, deserves that distinction. For his restorers, that’s the challenge. 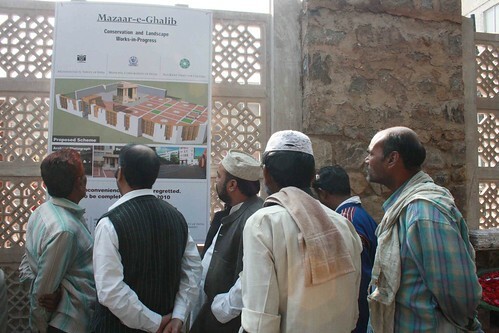 Caption on photos 2 and 3 reads: ‘Ghali’s tomb’. Ha ha you must be tired when you wrote that, Mayank. Any idea where Zauq was buried? No offence Mayank, but there is a whole range of topics you could’ve chosen to cover on 26/11. Nothing against this particular one, it just seems like a waste of good space. Thanks!! I love these pictures! Thanks for the write-up and the pictures. It is all very good news. Ghalib was buried in the or family graveyard of the Loharu nawabs, since he was related to them by through his mother and also by marriage. His grave only had a headstone from that time. The superstructure we see now was built, I understand, by Suhrab Modim after the huge success of his “Mirza Ghalib” (Story by Manto). That can be checked in the newspapers of that time. 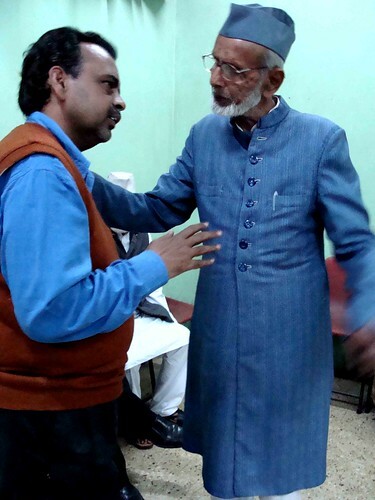 Also, Mr Khaliq Anjum at the Anjuman Taraqii-i-Urdu would know. 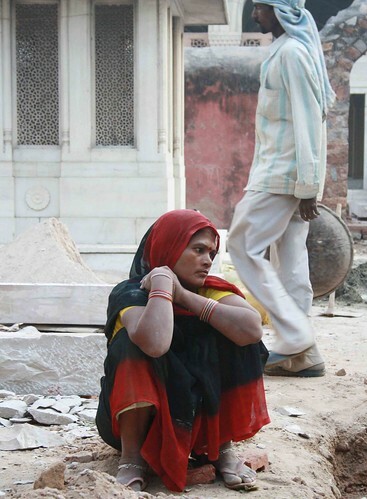 I can’t imagine why any Nizam would spend money on fixing up the graveyard of the Loharu folks. I visited the grave first in 1955. I definitely had to scramble up at one point to reach the grave. It had the superstructure. But the area around it was rough and unpaved as I remember. 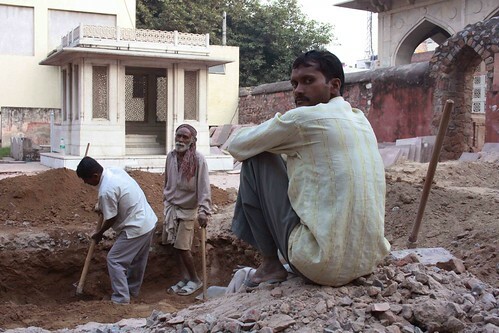 More information about who is buried there may be obtained from the Loharu family. 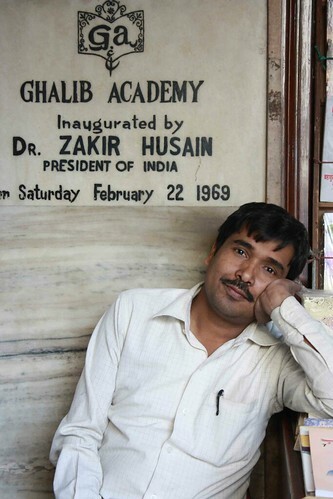 Hali wrote that Ghalib was buried at the foot of the grave of his father-in-law, Mirza Ilahi Bakhsh. Incidentally, Ghalib was a British-era poet, not a Mughal-era one. The British took Delhi from the Marathas and the French in 1803, and Ghalib reached Delhi in 1810 or 11, when he got married. He took service with Bahadur Shah very late in life, and got far more financial support from Rampur and Calcutta than from the Red Fort. In fact, he held Zafar in very low opinion, as did Syed Ahmad Khan.